Thanks to the climatic conditions and scribal practices of Greco-Roman Egypt, a number of handbooks from that region (and from no other in the ancient Greco-Roman world) have reached us. These handbooks are precious witnesses to practices and processes of cultural transmission: i.e. the creation, communication, transformation, and preservation of knowledge (both in text and images) across history. One of the largest subgroups of these handbooks concerns magical knowledge, a field of extraordinary diffusion and interest from Mesopotamia to the present. These ancient magical handbooks provide a unique point of entry into a corpus of knowledge at a particular period in a very long history that is otherwise lightly documented, and to the practices by which that field of knowledge was taught and transmitted. More than forty such handbooks survive, some of them in a fragmentary state. We propose to re-edit and re-translate these handbooks, as well as to carry out their first large-scale study as material objects and media of cultural transmission. The first edition of the papyrus magical handbooks from antiquity, the first two volumes of Papyri Graecae magicae by K. Preisendanz, was finished between the World Wars, in the years 1928-31. 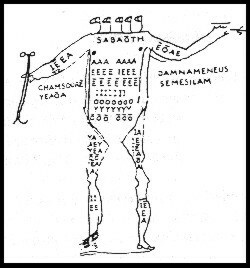 PGM has been used ever since as one of the most important sources for the study of Greek magic. This 1928-31 edition was once lightly revised in 1974 by A. Henrichs, and today presents a number of substantial problems that need to be addressed. The edition needs a thorough revision, and the original papyri need to be checked and re-edited. Preisendanz did a very good job for his time, but he did not have access to good images, he followed editing practices which have since been much improved, and he ignored many aspects of the manuscripts, including all non-Greek text, all lectional signs, and all images. Moreover, new fragments have come to light in the last decades, which need to be added to the corpus and which affect the reading of the other texts. The Preisendanz edition provides texts only for those papyri that are in Greek, ignoring spells and recipes in other, usually Egyptian, languages. This creates the false impression that these texts originated in a monolingual environment. In fact these texts are interesting precisely because of the diversity they represent. The proposed new edition will include the texts in all three languages in which they were composed (Greek, Demotic, Coptic). In many ways this initiative follows in the footsteps of the famous Chicago translation of the Greek magical papyri, spearheaded by H.D. Betz in the 1980s, which for the first time presented translations of all of these languages in a single volume. The material dimension of the handbook has generally been neglected. Too often the texts of these handbooks are studied without taking into account the material on which they were written. Scholars often treat them as having the same origin, even though it is clear that they were produced independently and they often betray several layers of recension, which date to different historical periods. They probably also derive from different traditions and reflect a variety of different practices. The new edition mentioned above will be accompanied by individual bibliological studies of each of these “handbooks” focusing on their idiosyncrasies, attending to details of palaeography, codicology, and lectional marks, which will help individuate them and also establish typologies for different kinds of magical codices. This is also a desideratum in the broader field of study of the history of the ancient book. At the same time, our sister project To Zodion is focusing on the study of drawings and graphics in the magical papyri.